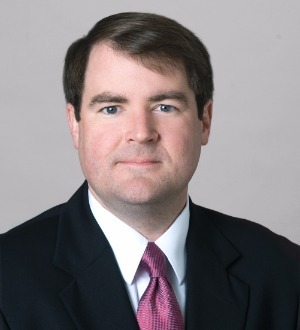 Jon Macklem is an experienced corporate attorney who represents and advises clients on a broad range of legal matters – representing businesses and professionals in litigation in Alabama and across the Southeast. He regularly defends clients in complex contractual and business tort proceedings involving Director/Officer liability issues, shareholder disagreements and franchise disputes. Jon has successfully tried a number of lawsuits to favorable judgment, from jury trials involving intricate business dealings to multifaceted employment allegations – while also playing a vital role in a number of arbitrations involving construction and commercial matters. A member of the firm’s Labor & Employment Practice Group, Jon defends clients in a variety of employment matters, including claims made under federal law such as Title VII, ADA, FLSA and FMLA, and represents companies against retaliatory discharge claims. While Jon enjoys going to court, he devotes much of his attention to helping clients avoid costly litigation through proactive risk management. He works with businesses and individuals to identify risks within their respective industries and helps develop and implement strategies to minimize those risks. Jon serves as outside general counsel for some of Christian & Small’s clients, advising them on all aspects of their business operations including contract review and negotiation, corporate document drafting, and labor and employment policies and procedures. Jon is currently defending a number of corporations in cyber liability and data breach lawsuits, and his knowledge and advice is often sought by businesses to guide them through complicated non-compete and trade secret agreements. He is also a member of the firm’s Technology and Emerging Business Practice Group, where he frequently works with entrepreneurs and start-up businesses.